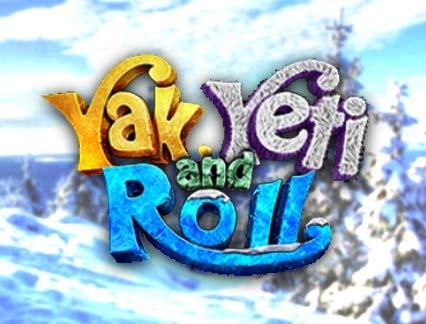 Game Information: Yak, Yeti and Roll is a cascading 20 pay-line, 5 reel medium variance 3Dc pokie from Betsoft. Released in December 2018, the game tracks the story of the bizarre Inuit inventor Yak and his right-hand Yeti in a desolate arctic adventure with prizes up to 200 times your wager. This is a fun game to play considering the quality visuals, free spins, cascading wins, progressive multipliers and the Bu feature. The game is playable on mobile phones and has an RTP of 95-93%, which can rise to 96.54% when using the Buy Feature. Betsoft decided to take us to the icy plains in Arctic where we will see how Jetties and Eskimos celebrate Christmas and New Year. Eskimo Yak is the inventor and he recently developed a special sleigh drawn by Jetty himself. 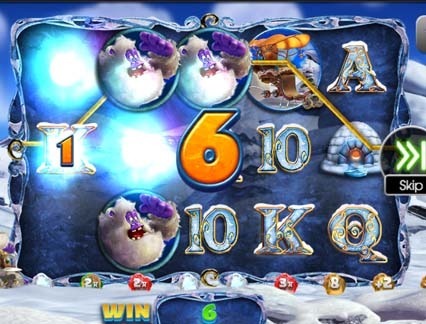 Yak, Yeti and Roll online pokie allows you to view them as they drive along the Trail of Treasures which reveals numerous frozen goodies including multipliers, free spins and coin wins. Symbols appearing across the reels include the husky, reindeer, Eskimo, gloves, sledge, and cards from 10 to Ace (low value). We mentioned that Eskimo is an inventor and we believe that he also had something to do with the game’s rules. Don’t worry, they are easy to follow. The pay-lines pay left to right starting from the far left reel. Thanks to the game’s cascading reels, the winning symbols will disappear creating room for new symbols and hopefully create new winning combos. There is also the Bonus Trail connected with the cascading reels. The Wild, represented by Yeti substitutes all other symbols except the scatter when it appears on reels 2, 3 and 4. Yak the Eskimo scatter symbol rewards payouts in any position when appearing in sets of 2, 3, 4, or 5 for up to 3, 12, 30, or 150 coins. The Snowball Trail: the Yak, Yeti and Roll Bonus Trail is also known as the Trail of Treasures. Every time you land a winning combo, Yeti starts driving the sleigh down the Bonus Trail. 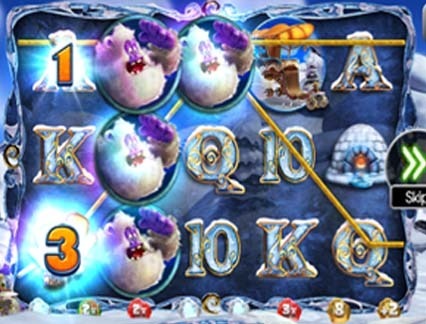 When one land successive winning combos through cascading reels, Yeti will continue driving and will crunch a snowball ahead revealing instant coin prizes, cascade multipliers, as well as free spins and spins multipliers. Free Spins feature is triggered by the Bonus Trail. Free Spins feature: before you can start playing the free spins, you will get a free spins multiplier, which will be applied, on all wins. During this feature, the Bonus Trails is also active which means that you can get additional multipliers, extra free spins and more instant wins. If you fail to trigger the free spins, you can always buy them. Buy Feature: the Buy Feature has become more common with many Betsoft games. The feature allows gamers to buy into 18 free spins with a 4x multiplier at a cost displayed at the bottom right of the screen. Double Up Feature: if you want to increase your winning after landing a wining combo, you can play the Double Up Game. This feature is only activated after one lands a winning combination. When activated, one is asked to choose between Heads or Tails. A coin is then tossed and if you guessed correctly, your win is doubled. If you get it wrong, you will have to forfeit your previous wins. Betsoft is among the top developers when it comes to artwork and a look at this game will tell you why. The whacky winter theme is armored with the frosty snow-covered trees and earth. The gleaming icy-blue reels comprises of symbols which include the higher value grey wolf, igloo, reindeer, mittens and redesigned sleigh. An orchestral-style soundtrack adds some magic to the theme along with animation from the foot-peddle powered sleigh found on the left of the reels which keeps things moving along brilliantly. This title from Betsoft pays a non-progressive jackpot of £ 92, 750 when max coin value has been set. The Eskimo scatter pays the most, offering 250 coins for 5 of a kind. If you land successive wins, you will trigger the Bonus Trial, which wins you more instant prizes, free spins and multipliers. The special feature in this title by Betsoft is the Free Spins, which is triggered by the Bonus Trail. The free spins feature lands you free spins multiplier that will be applicable to all wins. During this game, the Bonus Trail is also active so you are likely to get additional multipliers, instant wins and extra free spins.